Surrey has a rich legacy of historic parks and gardens. In spite of threats from development, neglect and lack of resources, many still survive. However many have been lost or are in poor condition. The work of the Research and Recording Group helps the Trust to raise awareness of our precious heritage assets both when they are in danger but also for the benefit and appreciation of both landowners and the public. This relates equally to parks and gardens of national as well as local significance. More information about Surrey's registered historic parks and gardens and other local non-designated historic parks and gardens can be found by following the links below and a comprehensive List of Surrey Gardens that appear in the Historic England Register of Parks and Gardens of Special Historic Interest is attached as an aide memoire while we complete our upload of the data to the new site. Alphabetically listed below are the 40 gardens, parks and cemeteries of national significance in Surrey that appear in the Historic England Register of Parks and Gardens of Special Historic Interest. There are approximately 1600 registered parks and gardens in the UK on the Register. These are graded Grade I, sites of exceptional interest, Grade II*, particularly important sites of more than special interest and Grade II, sites of special interest, warranting every effort to preserve them. A historic designed landscape on the Register is a 'designated heritage asset'. Research by Surrey Gardens Trust's researchers and recorders of the nationally important sites, Nonsuch, Ashtead, Gatton, Bagshot, Frimley and Farnham Parks and Sutton Place provided the necessary information for these to be included on the Register following the original compilation in the 1980s. We have included a full list of the parks and gardens included on the Historic England heritage list**. Do not hesitate to get in touch with the Research and Recording Group if you would like any further information. We have also included links to useful sites relevant to each property. The symbols are defined above for ease of reference. A mid 17th century terrace, bath house and tunnel, surviving from a garden designed by John Evelyn, with mid 19th century exotic tree planting by Henry Drummond set within a park of 17th century origin. A 17th century park, developed during the 18th century and 19th century by successive owners. Mid Victorian gardens and pleasure grounds belonging to the Duke of Connaught, set in parkland reimparked in the late 17th century, and incorporating pleasure grounds of the early 19th century laid out for the Duchess of Gloucester. The largest cemetery in England, founded in 1852 to house London’s dead, serviced by its own railway line and laid out and planted to J C Loudon's principles. A collection of mid 18th century follies set within a secluded steep-sided valley containing a chain of lakes. Original house demolished and present Edwardian house on site to the north. Extensive and complex pleasure grounds and park around a country mansion. Main phases 18th century and early 19th century, with early 18th century work by Sir John Vanbrugh with Charles Bridgeman and possibly Stephen Switzer, and William Kent with Thomas Greening; mid 18th century work by Lancelot Brown; and early 19th century work by J W Hiort, J B Papworth, and A C Pugin. Claremont was highly influential in the English landscape movement during the 18th century. Pleasure grounds first laid out by Charles Howard in the early 1650s. Further developed in the late C18 and early C19 by Thomas Hope. Chart Park initially added to the estate in 1671, separated in 1718 but reunited in 1814. A 14th-century deer park associated with 12th/13th-century Farnham Castle and laid out as a landscape park by Bishop North in the late 18th and early 19th centuries. The early 19th-century pleasure grounds within the curtain wall of the castle survive in part, as do those around the Ranger’s House in the centre of the park. Open access to park, gardens around Ranger's House are private. Castle - English Heritage. Formal gardens to a design of 1920 by Edward White of the firm Milner, Son and White, accompanying a country house, surrounded by C19 pleasure grounds and parkland. Early C20 formal gardens, possibly designed by Harold Peto, set in a park associated with a country house. Park with probably late 18th-century origins improved following the commissioning of a Red Book from Humphry Repton in 1800, associated with Grade I listed house. Its garden and pleasure grounds include mid-18th-century features and a formal garden of 1914 by Gertrude Jekyll. Roof garden of 1956-7 by Geoffrey Jellicoe for Harvey’s department store in Guildford. A woodland garden containing notable late 19th-century rhododendron hybrids, and the site of the first meeting of Gertrude Jekyll and Edwin Lutyens. Park and pleasure grounds forming the setting for a country house, with improvements to the existing part in the 1760s and 70s by Lancelot Brown; mid-19th-century remodelling around the house. Gardens remodelled in the late 19th-century by H E Milner, and further elaborated during early 20th century. Mid-19th-century formal gardens, with late-19th-century and early-20th-century picturesque pleasure grounds and associated artificial rockwork by Messrs James Pulham and planting by James Veitch and Son. Remains of late-17th-century formal garden layout by Sir William Temple, extended early 18th century, set in informal grounds with 19th century planting. The late-19th/early-20th-century home and garden created and lived in by Gertrude Jekyll for over fifty years, the house designed by Sir Edwin Lutyens. The site of the Tudor palace of Nonsuch, and accompanying gardens, is within Henry VIII’s much larger Little Park, disparked in the late 17th century and early 18th century. 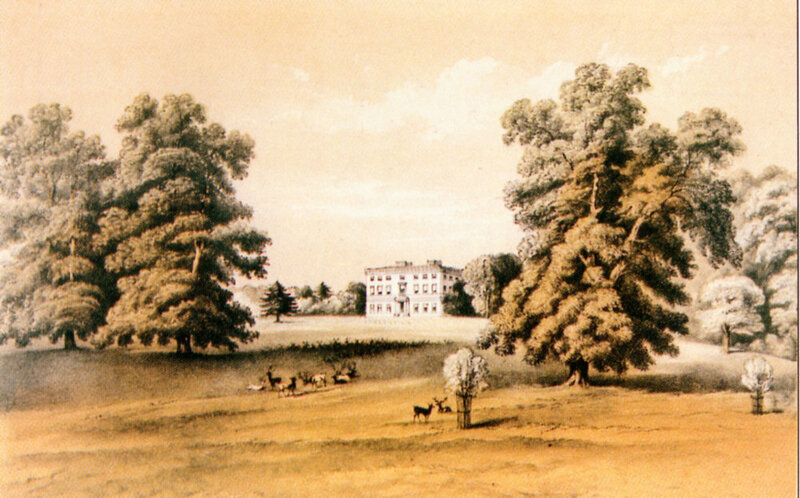 The present mansion was at one time the home of Thomas Whately, author of Observations on Modern Gardening, 1770, who was responsible for making improvements to the existing gardens. A landscaped lake, created for the first Duke of Cumberland circa 1750 by Henry Flitcroft as part of Windsor Great Park. It was the largest artificial lake of its day. The lake was enlarged and further landscaped, partly by Thomas Sandby, for George III, circa 1780s. The area was again embellished by George IV in the mid 1820s. Open access to Virginia Water only. The Royal Estate, Windsor. Over many years, the Trust has researched and recorded parks and gardens in Surrey which it believes to be of local heritage interest but not of national significance. This research has been submitted to the relevant Historic Environment Records (HERs) where it is visible and available for use in the planning process. Please do not hesitate to contact us if you have any queries regarding a potentially historic park or garden. We are very happy to assist in locating appropriate information. The Surrey Heritage website can be searched for information on many of these sites but if it is not included this does not necessarily signify that it is not of importance as this record cannot be regarded as complete. Listed below are the Borough and District Councils in Surrey. The Trust has researched and recorded designed landscapes in all of these areas and considered which are of heritage significance. These may not be definitive lists as there may be sites referred to which are no longer significant due to development or other changes and there may be some which have not been recognised. We continue to update these records and we will be working with the local authorities to produce Local Lists for each area. Lists of locally significant non-designated sites in each of these areas of Surrey will be added to the website in due course. Guildford Borough Council and Reigate and Banstead Borough Council have produced a Local List and the links are below.